Lock in a great price for The Upper House – rated 9.3 by recent guests! 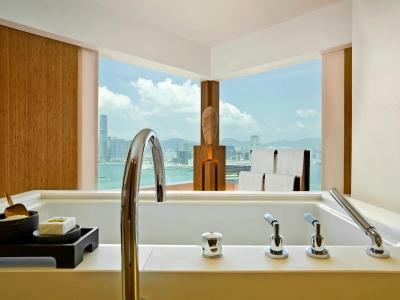 It’s a great pleasure to stay there, the design is very good, the view is impeccable and beautiful, room is comfortable, there’s a speaker, high-power hair dryer, bath tub, very nice shower gel and bath salt. The best thing is staff, Thomas, he booked for the restaurant we wanna visit in a short time, what a great service. 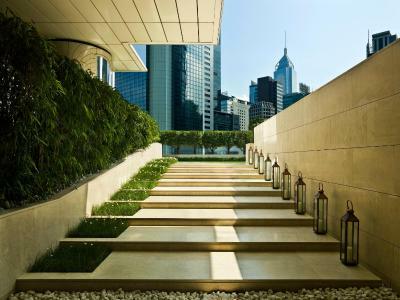 Amazing staff, beautiful hotel with a breathtaking view - definitely an amazing space that made our Hong Kong trip all the better. Not to mention the room service was one of the best i’ve had in a VERY long time. The staff is super friendly and thoughtful - a truly unique experience. Professional service! Excellent explanation of the room efficient response from the reception. I travel often and I have stayed at many hotels. 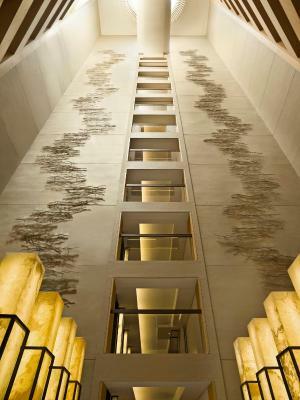 I have to say that The Upper House was by far the best hotel I had ever stayed at in my life! 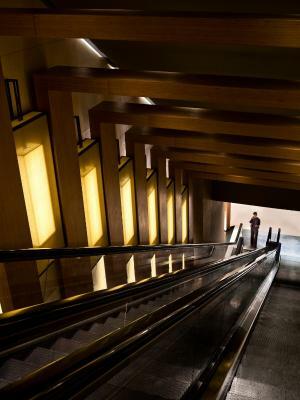 This is not scripted and I typically wouldn’t spend time leaving a review but my husband and I started our honeymoon off in Hong Kong and The Upper House was our first stop. The hotel was beyond accommodating, helped us out with all of our reservations, helped us with our itinerary and more than that, they upgraded our room and left us so many wonderful and unexpected surprises to help us celebrate the occasion. Stephanie and the rest of the staff were so organized, knowledgeable and professional. We hope to go back very soon!! The customer service was great. Tariq (concierge) was amazing from start to finish. Service was impeccable and top notch. The staff really made the effort to get to know us and were extremely accommodating for our 2 very young children. The guestroom is spacious and beautiful, modern but functional and comfortable. The view from our room was amazing. The restaurant upstairs is sublime. Thank you for such a wonderful experience. We've already recommended some of our friends to stay here. They upgraded me to the fabulous upper suite for free. Amazing view and ever better faculty. Full rating! 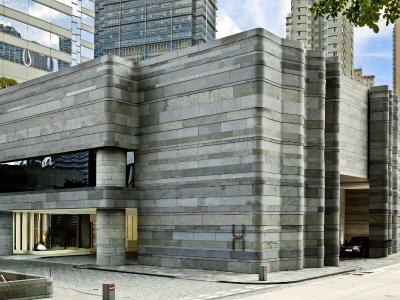 Great Location, and the facilities are great...best hotel in HK. 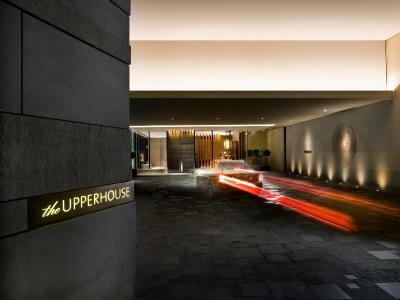 The Upper House This rating is a reflection of how the property compares to the industry standard when it comes to price, facilities and services available. It's based on a self-evaluation by the property. Use this rating to help choose your stay! 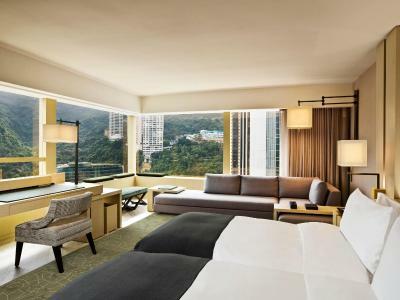 Offering panoramic views of Victoria Harbour and the city, The Upper House is centrally located on Hong Kong Island, right on top of Pacific Place, the city’s premier shopping mall. 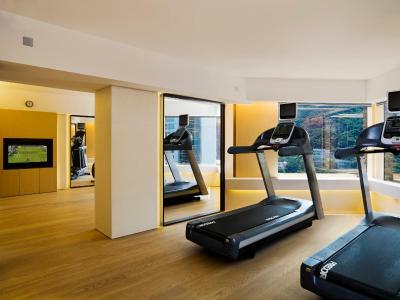 Close to Admiralty MTR subway station, the property includes a modern fitness center and free yoga classes during the weekend. Wi-Fi is available for free throughout the hotel and the Guest Experience Team provides 24-hour services. 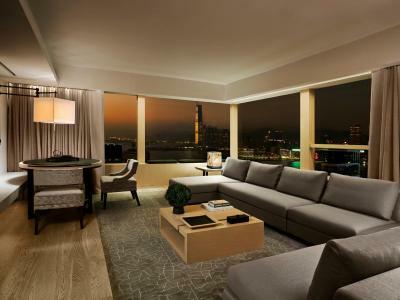 The Upper House Hong Kong’s non-smoking rooms are spacious and elegant, and have modern amenities. They have a large flat-screen TV, a luxurious bathroom with a rain shower and a bathtub, as well as a free Maxi-bar that has a selection of refreshments. All rooms have an iPod touch that provides tourist information and information about room service and the property. 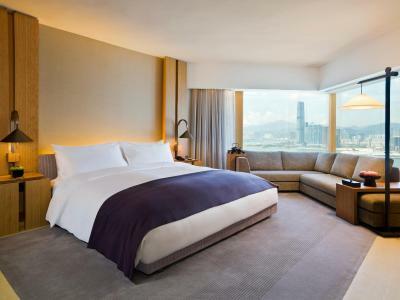 The hotel is just a 40-minute drive from Hong Kong International Airport and a 10-minute walk from Star Street featuring galleries, chic furniture outlets, trendy bookstores, cozy cafes and stylish restaurants. The Hong Kong Convention and Exhibition Centre is just over half a mile away. 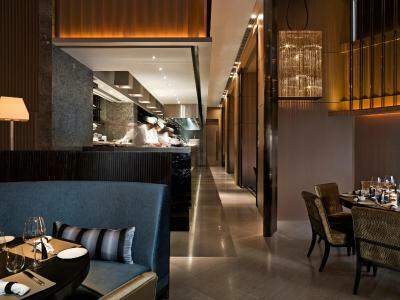 On the 49th floor, the Cafe Gray Deluxe has modern European dishes. Guests can enjoy a refreshing beverage at Cafe Gray Bar or enjoy their meals in the comfort of their rooms. When would you like to stay at The Upper House? This nonsmoking room comes with an IPTV and dual temperature wine fridge. It also features a spacious bathroom with TV, dressing area, walk-in rain shower and limestone bath with double vanities. It also provides an espresso machine and a selection of teas and infusions. The Maxi-bar offers free treats of beers, soft drinks, juice, water, coffee, a section of teas and infusions, jars of nuts, sweets, chocolates and cookies. 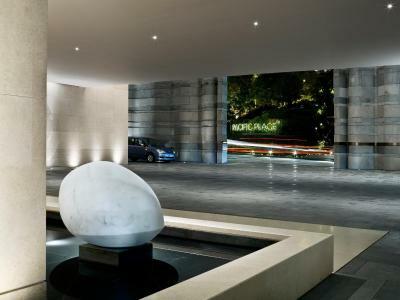 Private parking is available on site (reservation is not needed) and costs HKD 100 per hour. 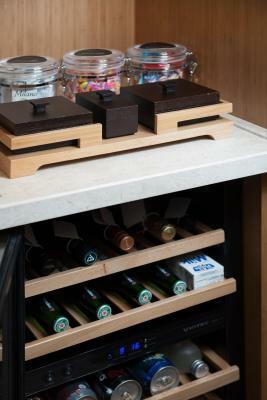 Offering more space, this nonsmoking room comes with an IPTV and dual temperature wine fridge. 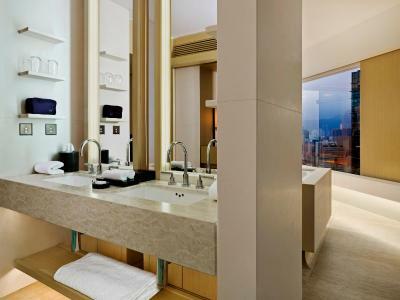 It also features a spacious bathroom with TV, dressing area, walk-in rain shower and limestone bath with double vanities. It also provides an espresso machine and a selection of teas and infusions. 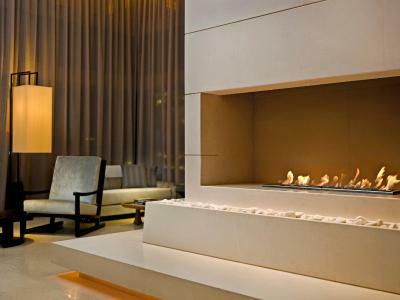 These spacious corner nonsmoking rooms come with a separate living room, an IPTV and dual temperature wine fridge. They also feature a spacious bathroom with TV, dressing area, walk-in rain shower and limestone bath with double vanities. It also provides an espresso machine and a selection of teas and infusions. This twin/double room has a bathrobe, a seating area and a DVD player. This double room has a toaster, bathrobes and a DVD player. 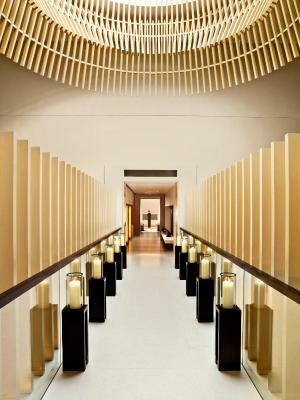 The Upper House is an intimate hotel full of surprises. Warm, friendly and informal, it’s a place where everyone is treated as an individual. 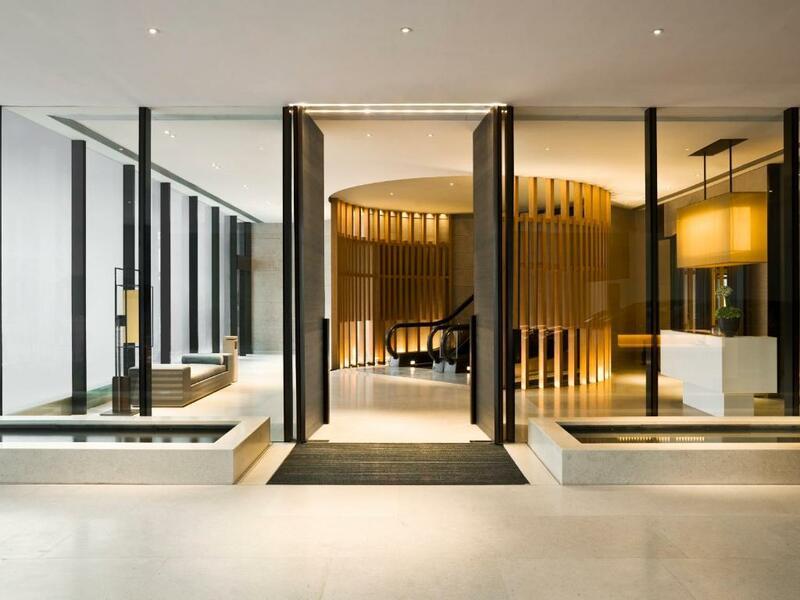 Designed by architect Andre Fu to create an understated feeling of residential calmness, it’s so much more than a luxury hotel, and we want you to relish every moment of your stay. House Rules The Upper House takes special requests – add in the next step! 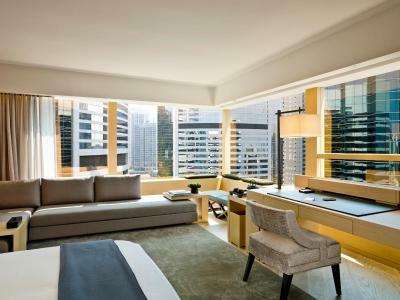 Any additional older children or adults are charged HKD 880 per night for extra beds. The Upper House accepts these cards and reserves the right to temporarily hold an amount prior to arrival. Airport pick up or drop-off by House car can be arranged at an additional charge. Advance reservation is required. Please inform The Upper House of your expected arrival time in advance. You can use the Special Requests box when booking, or contact the property directly using the contact details in your confirmation. The guest rooms were Superb. 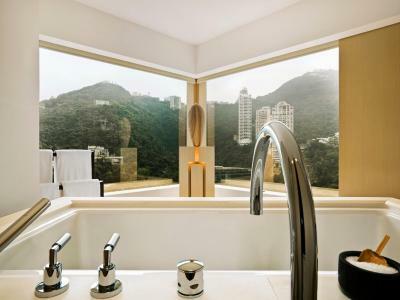 Stunning and extravagant bathroom with breathtaking views from full height windows. Rooms were elegant, sophisticated. Every detail thought of. Staff so friendly and accomodating . Pillow menu poor, air conditioner not working correctly. Room is very spacious. Service was top notch. I enjoyed eating breakfast at the top floor as it has great view of the harbor, though the options for breakfast could be better. Some part of the rooms were run down, although it is very clean. The complimentary limousine service is available, although hardly ever available to use, always too busy and cannot be booked, defeats the point of having the service if it is never available for your guests. The staff were really helpful. 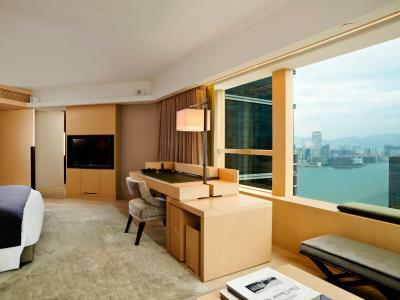 Rooms were big for Hong Kong standard. Great customer experience team! Professional and helpful.